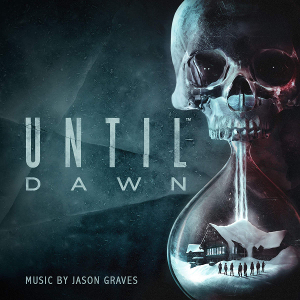 I was surprised by how much I enjoyed the score for Until Dawn – that is, until I found out that the score was the product of British composer Jason Graves, praised for his recent work on 1886: The Order, and well-known for his music of the Dead Space series. I have to admit that I was hesitant upon first opening the score to listen, since I have noticed patterns with the music of horror games that push the sounds of the score towards the ambient and jarring, dispensing, often completely, of traditional instruments and both melodies and harmonies. 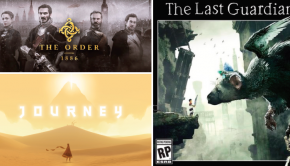 While I struggle to criticize a score that is only trying to stand out, or embody the themes of the game, I have to admit that a score like Graves’ is, simply put, more interesting than those other scores. I was relieved to find instruments and a theme that permeates the score, because not only was the score quite fun to listen to, but it gave me a sense of just how chilling and horrific Until Dawn was meant to be. The main theme of the game opens the album in a haunting track called “The Shadow of the Mountain,” which takes a rather unoriginal theme (I know I’ve heard the motif before in one of the earlier Harry Potter films) and makes it the focal point of the piece, giving it new life through the attention spent on it as the piece continues. Part of the horror of Until Dawn is the influence the player has on the game’s plot – choosing to save or leave behind a companion could, quite literally, come back to haunt you hours later. The melody of the game haunts you in the same way with an incredibly simple three-note motif that plays on a variety of instruments, each time met by a new follow-up motif. And, in case you forget the melody, Graves reminds you of it in nearly all of the following tracks. “Welcome to the Annual Blackwood Winter Getaway,” the second track on the album, opens with some of the more stereotypical horror sounds – some echoing sounds, synth wind, vague percussion – but then progresses to include a darker, deeper version of the melody a few octaves lower than the preceding piece. “You Go, Girl” is a delightfully creepy track on the album. In any other context, it could be a beautiful track – here, listening to it amid the horrors of the rest of the score, the beauty is disquieting. The melody is mild and disarming, but the frantic rhythm behind it leads the listener to hear a more sinister side to the score. “Chris and Ashley” is another departure from the main theme, a sweet and somber melody from a gentle combination of strings and piano. The pieces on the score are quite well developed – none of the tracks are under three minutes, and each track is full and complete in its own right, without depending too much on the rest of the score for support. “Run or Hide” begins with some Christmassy vibraphones and plucked strings – again, Graves is touching on the more beautiful side of horror films, the kind of aesthetic that draws the listener in before terrifying them. As the piece picks up, a horn plays a mournful and haunting melody. The harmony all but stops in the middle, and after a brief background silence that leaves the persistent bells playing solo, a furious swell of screeching strings prelude a more violent second half of the piece. One of my favorite tracks, “Icicle Elegy” is a string piece that begins slowly with an almost whimsical style of strings, using staccatos and sporadic pauses to keep the piece moving. Halfway through, Graves changes styles again as a solo string picks up a rustic melody but with an intensity and set of scales that brings a Vivaldi concerto to mind. 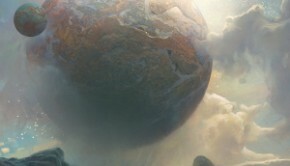 The soundtrack gets more ambient as the album continues, perhaps indicating the rise of terror in the game over time. “Mike and Jessica” features a meandering set of chilling notes embedded in a familiar synth wind setting, and picks up just before the end with some more rhythmic motifs. “Final Confrontation” opens with a series of not-quite-tonal sounds that clash against each other; even the moving notes don’t seem to fit on any particular scalar pattern. It gains more of a rhythm halfway through, but the melody is as ambiguously eerie as ever. 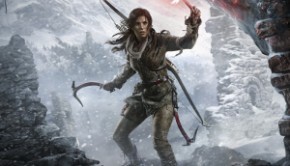 Overall, this score is an extremely refreshing break from the usual horror game fare. It features beautiful instrumental solos, haunting melodies, and quite a nice variety of styles. The album contains only thirteen tracks, but each track is a decent length, and in fact the substantiality of the album is much stronger than other soundtracks with far more tracks, but less development and thought given to each piece. Not all of the tracks work for me, but I appreciate the effort and care Graves puts into the haunting themes he cultivates from the very first track. Posted on December 26, 2015 by Emily McMillan. Last modified on January 13, 2016.